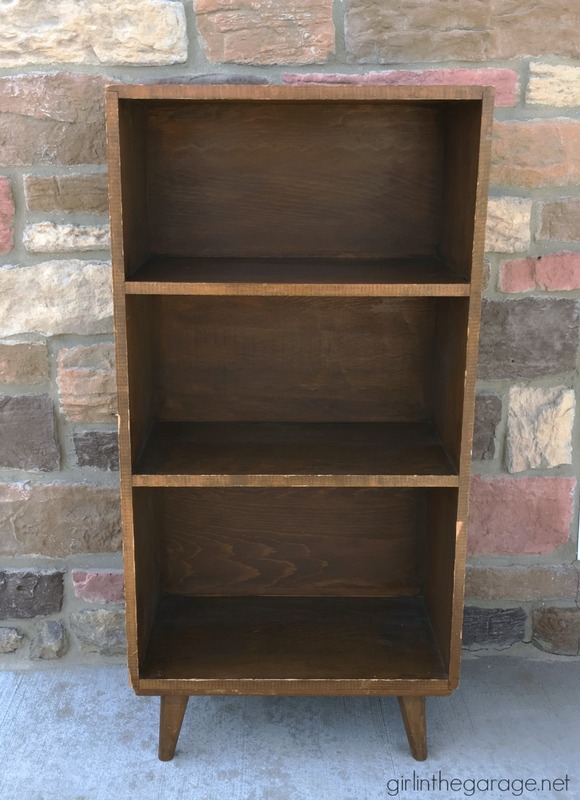 This midcentury bookcase was an impulse buy, but for $12 how could I pass it up? You really can’t go wrong with buying a vintage bookcase to upcycle; almost everyone needs more shelf space in their home. As it waited for its update, I considered decoupaging paper onto the back like this bookcase makeover I did a couple years ago. But I really wanted to do something different this time. 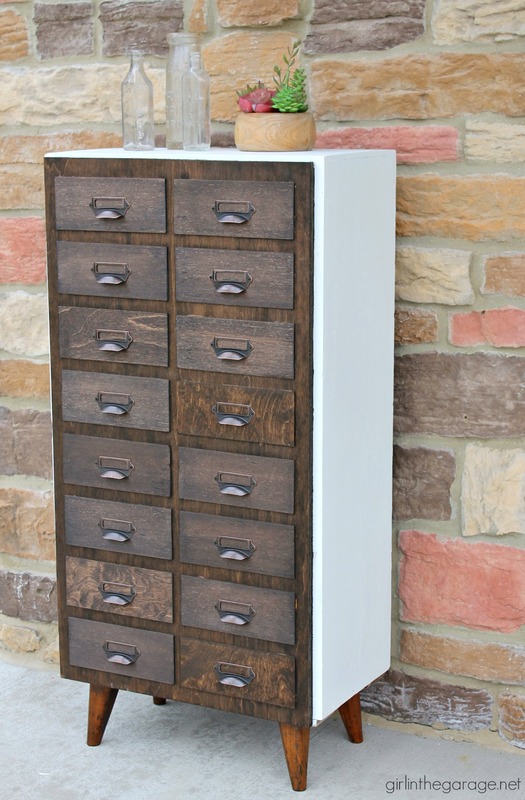 Thankfully I had another idea: A faux card catalog. 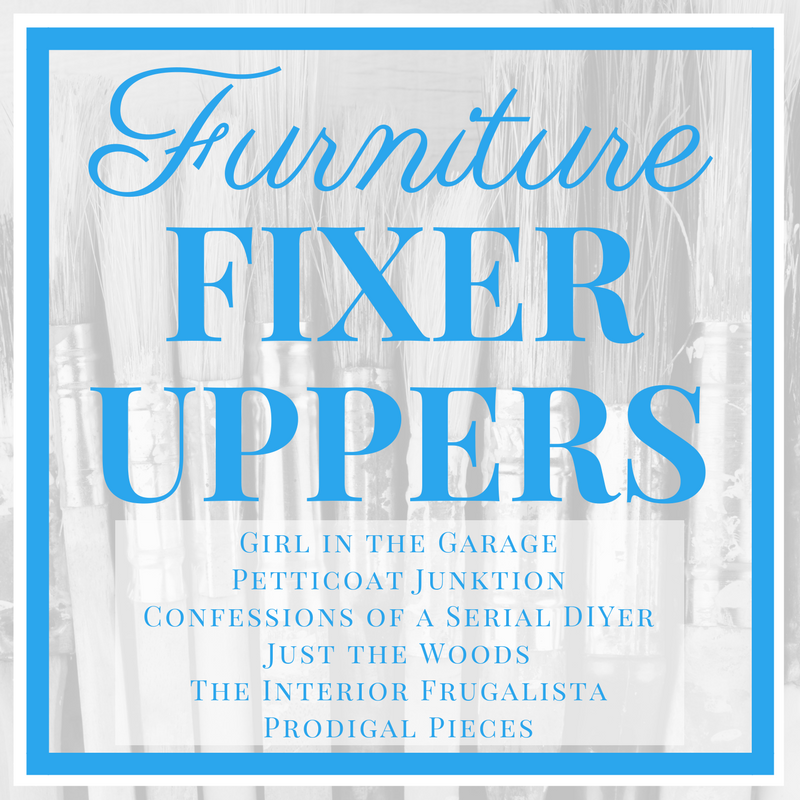 ** Guys, it’s Furniture Fixer Uppers day with some of my blogging friends – be sure to check out their makeovers at the end of this post! 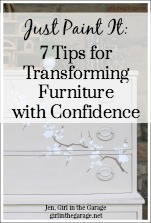 Also, some affiliate links are included in this post so that you can easily find some of the products that I use and recommend. Thank you. I dabbed my favorite super glue on and then set heavy books on top of all the panels overnight. 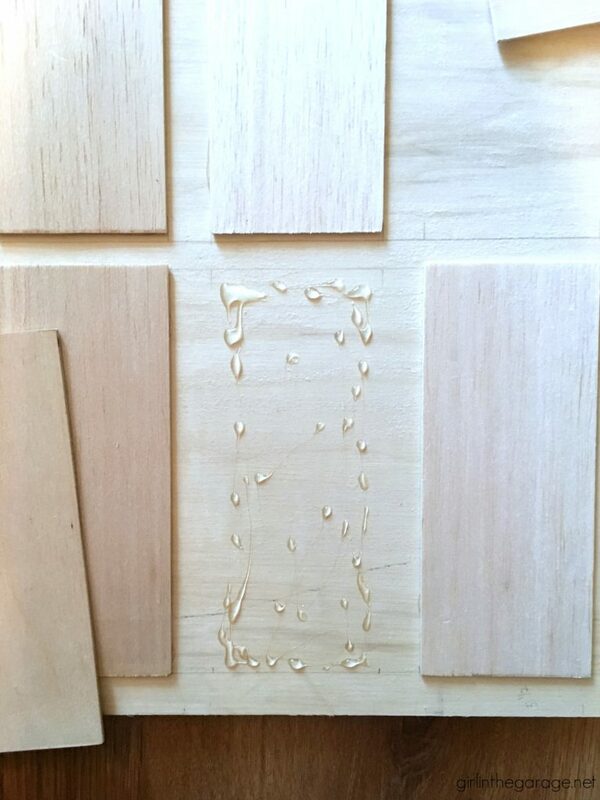 After the glue was dry, hubs took it outside and stained it with Minwax Espresso. Then it was time to see my idea come to life. 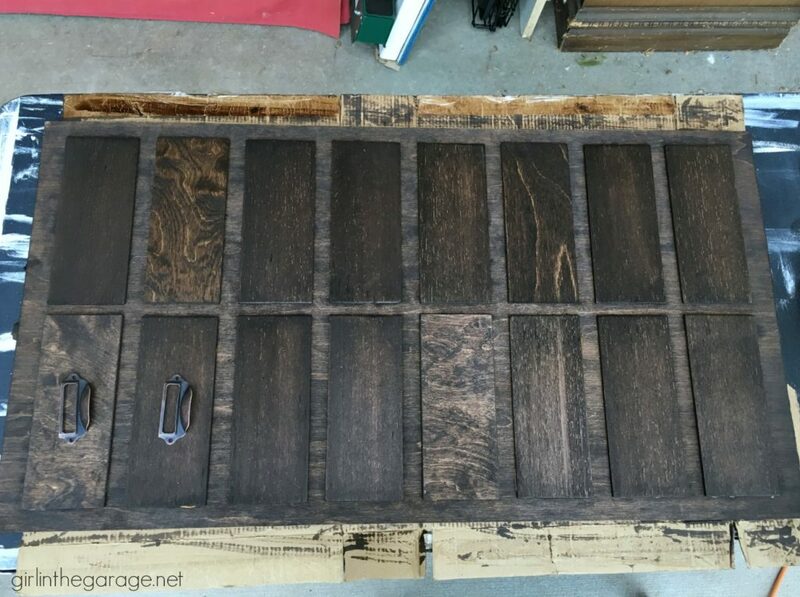 Each panel got a card catalog drawer pull (available Here) – it didn’t take too long to attach 32 tiny screws. My Black+Decker drill/driver (available Here) worked very well for the job. The bookcase was painted in Fusion Mineral Paint – Raw Silk. 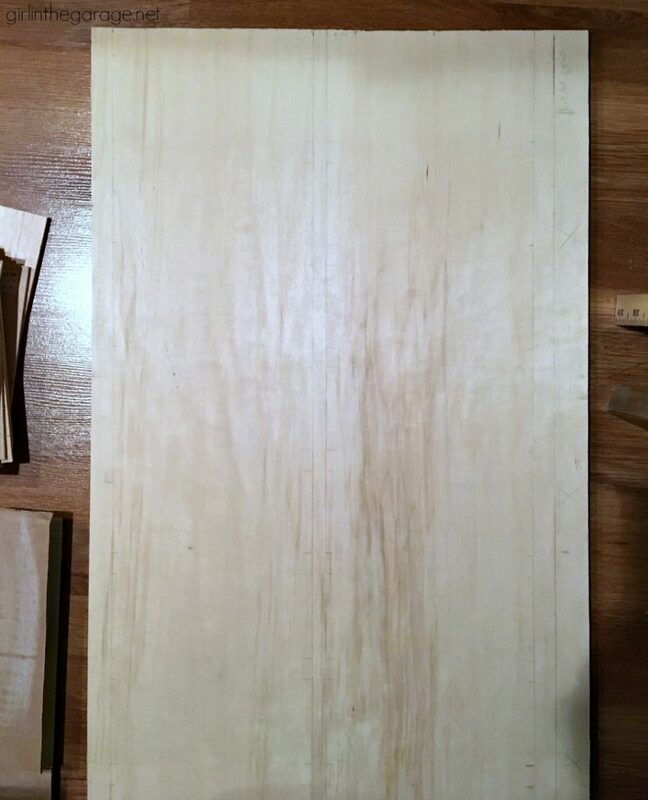 Finally, the door was attached with two hinges inside (the trickiest part of this entire project) and I added a magnetic closure inside the top of the bookcase. The drawer pulls are pretty fantastic. You can find them Here, very reasonably priced. 🙂 Should I put labels inside? What do you think they should say? 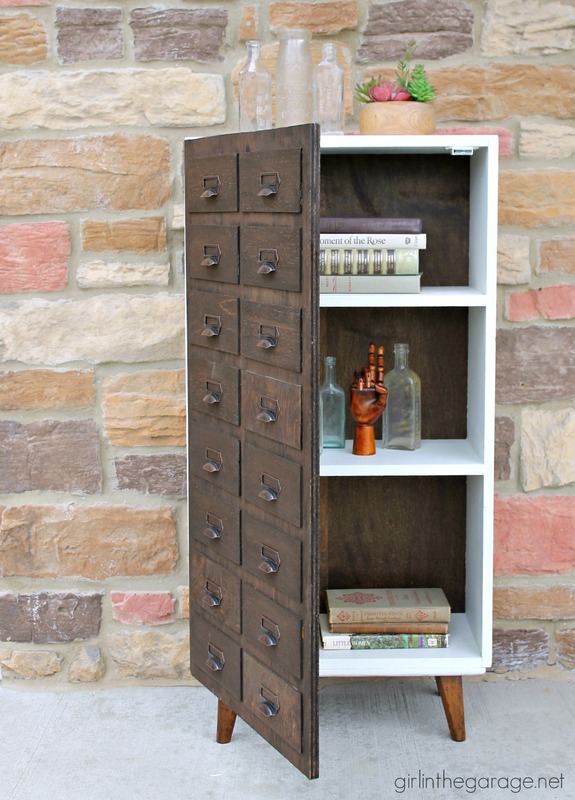 A midcentury bookcase/faux card catalog calls for vintage bottles and succulents, right? 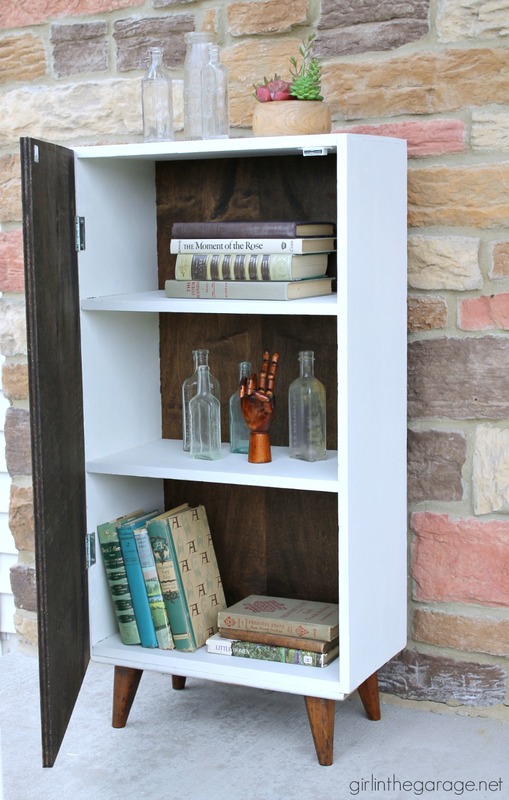 Even though the hinges were tricky, I love this little upcycled bookcase. 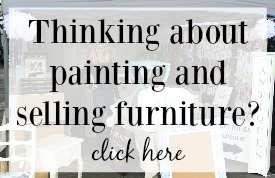 It’s definitely going to be a conversation piece in someone’s home – maybe yours? 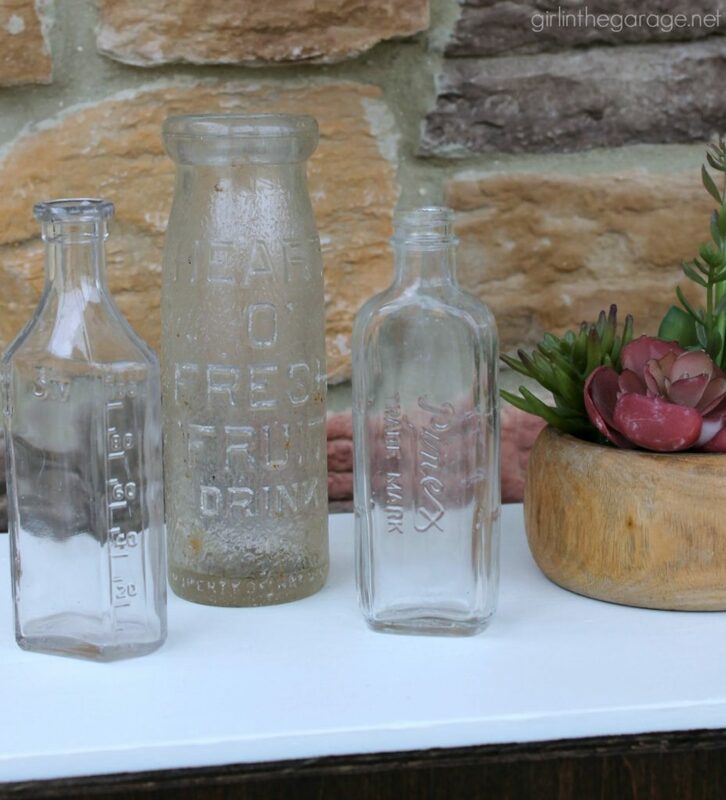 🙂 I’ll have it with me at the Hunt and Gather Market – September 15-16 in Crown Point, Indiana. 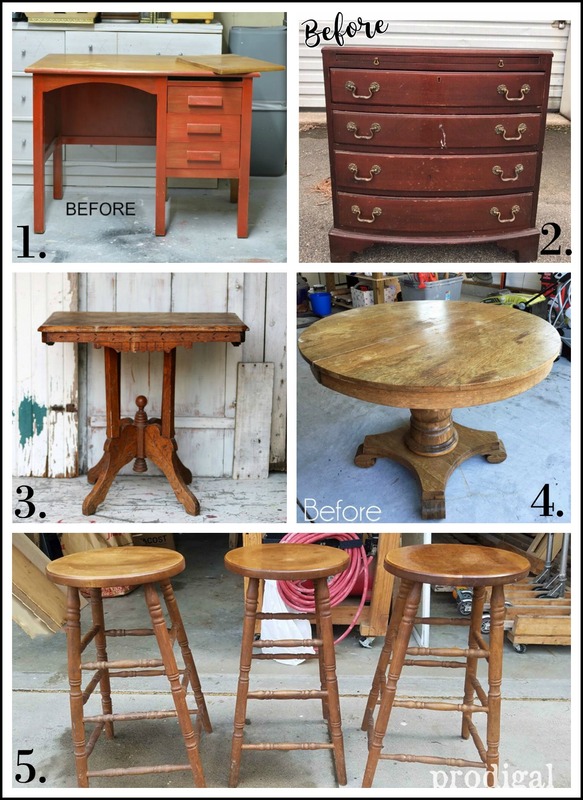 Below are the Before photos – click the links underneath to see the After photos and learn how they transformed it. Eeeeek I love this so much. It’s perfect! 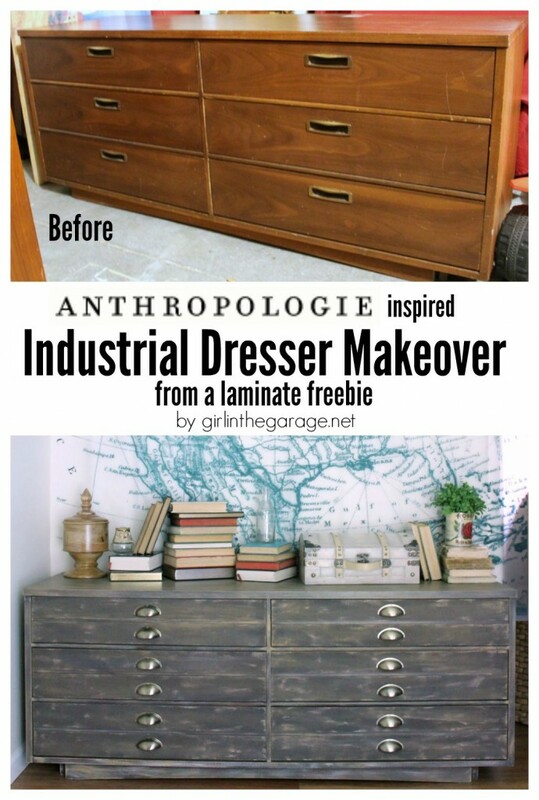 That is such a cool upcycle. 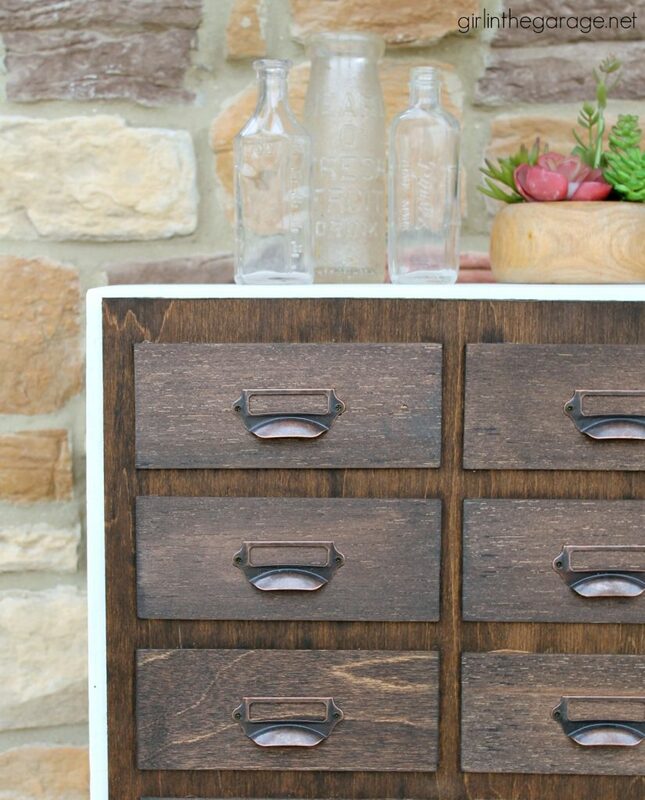 Love how you made that faux card catalog door. 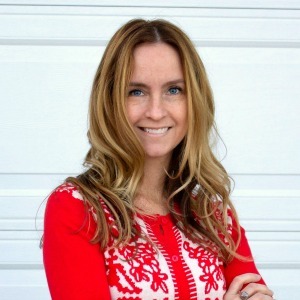 What a fun update, Jen! 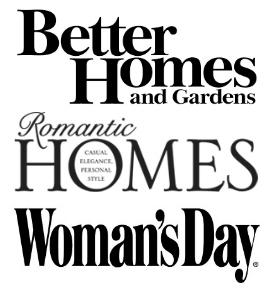 Love the new look – so chic. Love the new look! 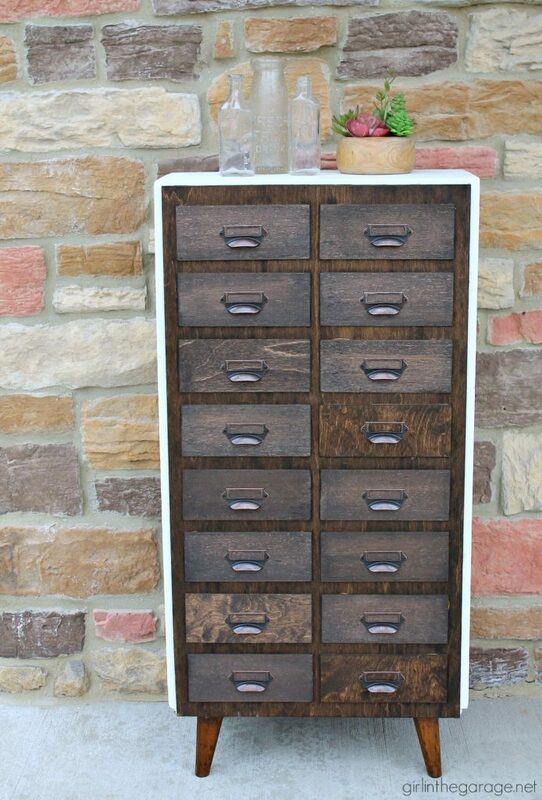 If you hadn’t told me, I would have thought that this was a real card catalog. 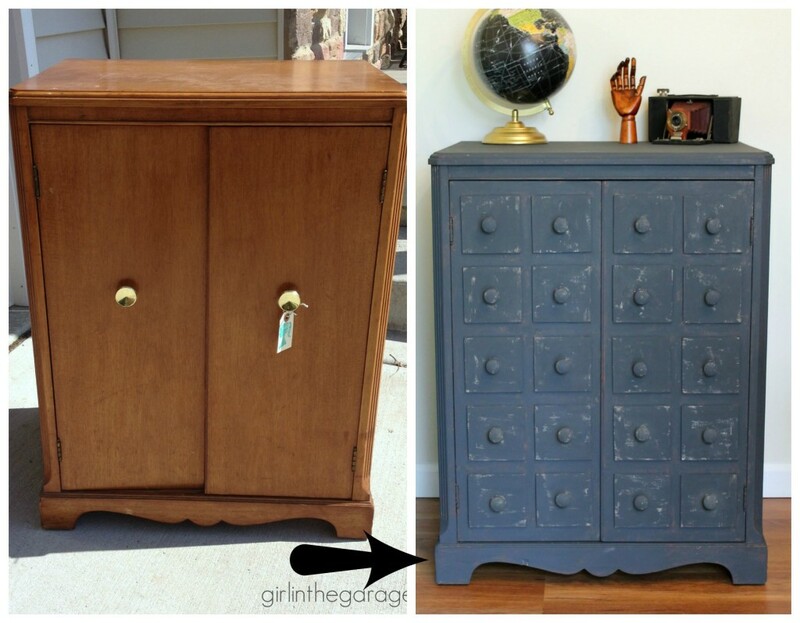 love the idea of the faux drawers! painting the bookshelf white really setoff the rest of the piece. love it! 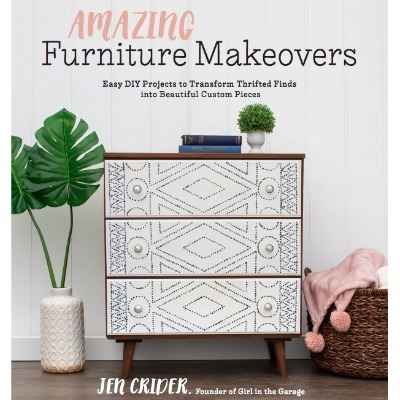 Jen, I love what you did with this MCM Bookcase! Such a great idea. Business in the front, party in the back! WoW! I would have never (as in NEVER) thought to do this. It’s Fantabulous. Love it!!! Gorgeous reno! 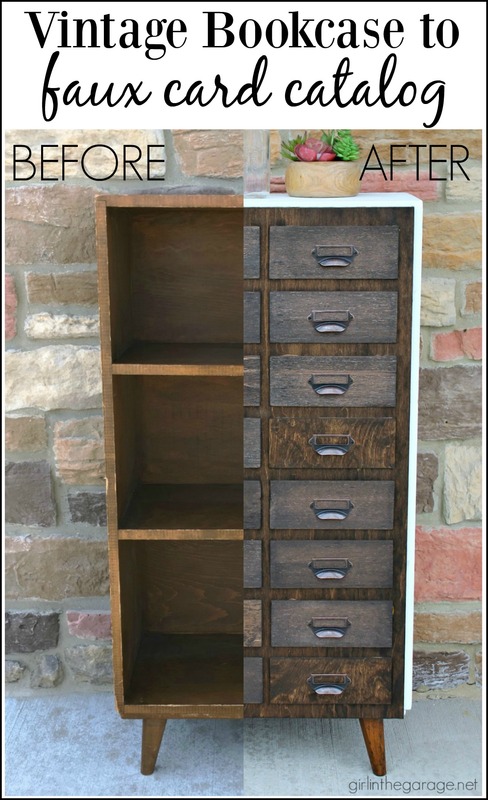 Love card catalog cabinets anyway. And, DEFINITELY – I’d put labels on them – fool someone even more with “History, Science, Fiction, Autobiographies, etc.” You’ve done a great job. Are you some kind of diabolical genius? Pinning duh! Wow, Jen that is amazing. You really had a vision.